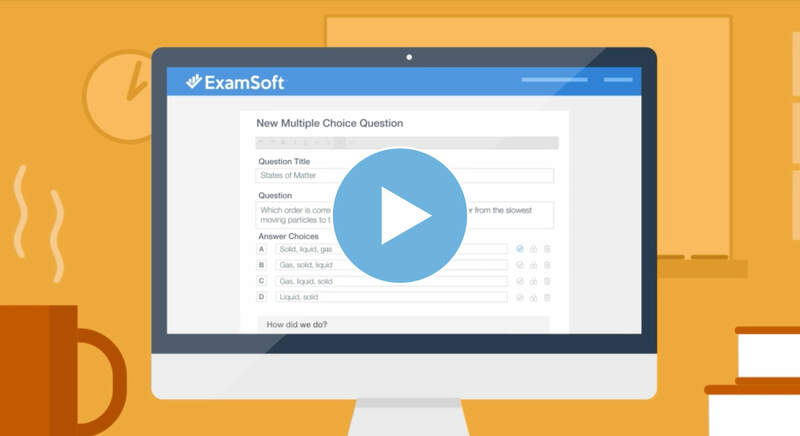 ExamSoft’s suite of assessment software provides educators with the tools needed to bank exam items, create, deliver, and grade exams, and then report on student, course, and program performance. With unparalleled exam security and robust assessment reporting capabilities, ExamSoft can help streamline the assessment process from start to finish. Learn more about how ExamSoft’s assessment software can help your program here.